OMG they’re making a Guardians of the Galaxy movie! Isn’t that great? Well, OK, it’s pretty cool that they’re giving the less famous titles a cinematic airing. I’ll give them that. What’s not great is that popular female characters are getting shunted to one side in favour of the more obscure characters. 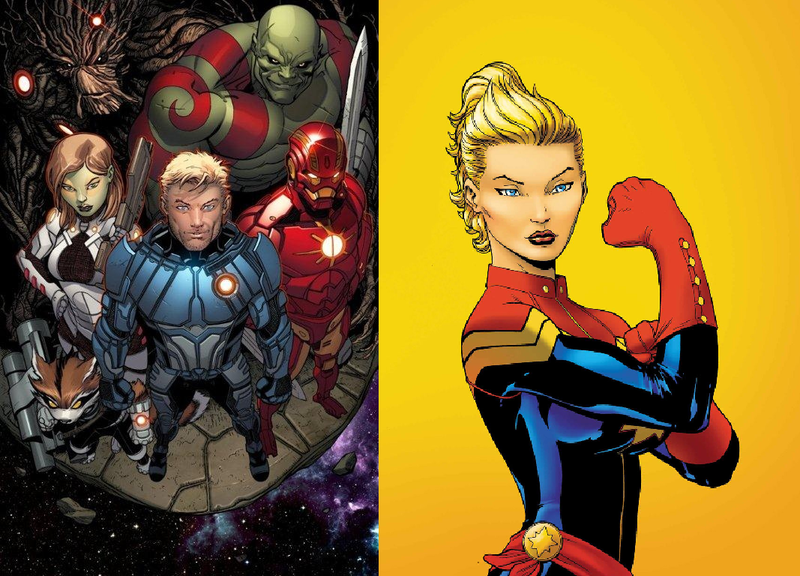 It’s not great that studio executives decided that a group of intergalactic peacekeepers including Rocket Raccoon (talking raccoon with a gun) and Groot (talking tree with the catchphrase “I am Groot.”) was a more bankable property than, oh I don’t know, Captain Marvel. OK, so Guardians of the Galaxy are freaking amazing. My point still stands. It’s pretty easy to see why the badass babes we know and love are missing from the line-up: sexism. Quit rolling your eyes, it’s not what you think, the opposite in fact. See, the thing with the big-name heroines is this: almost all of them are girl versions of existing heroes. 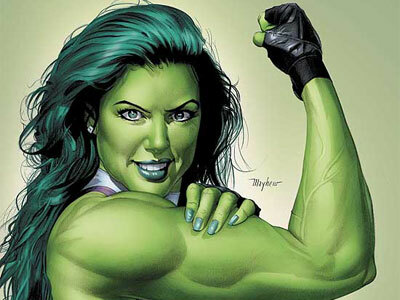 She-Hulk got her powers from a blood transfusion from her smashier cousin. 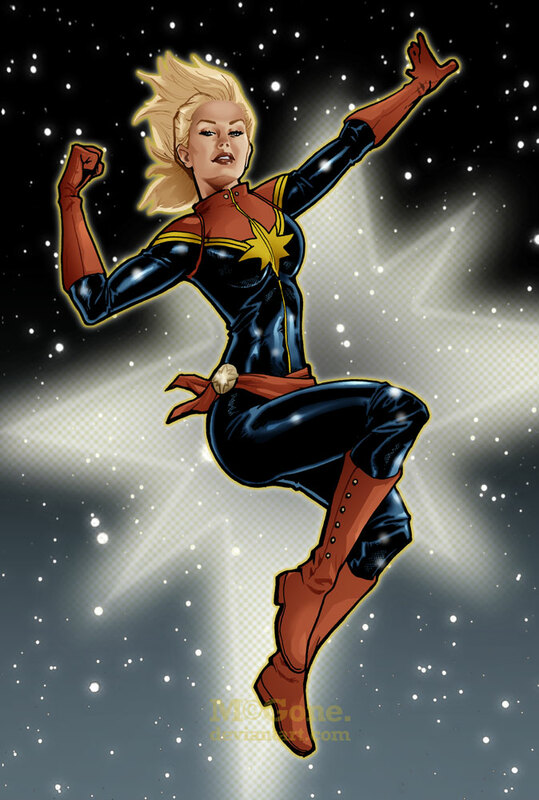 Captain Marvel was involved in a crazy alien explosion with Mar-Vell. Wasp got into Ant-Man’s special particles. Valkyrie and Sif follow Thor into battle. Scarlet Witch comes as part of a package deal with Quicksilver. Jocasta couldn’t even exist without Vision. Back when all these gals first appeared, being “granted” abilities by a male character was the height of female empowerment- it meant that the male hero accepted her as his equal, and considered her worthy of fighting by his side. Peter Parker’s parents were involved with genetic testing that left their son compatible with spider DNA, and then die under mysterious circumstances. Peter does a little digging, and finds out that not only was a shady organisation called Hydra involved, but that there was another baby with a similar spider-compatibility. 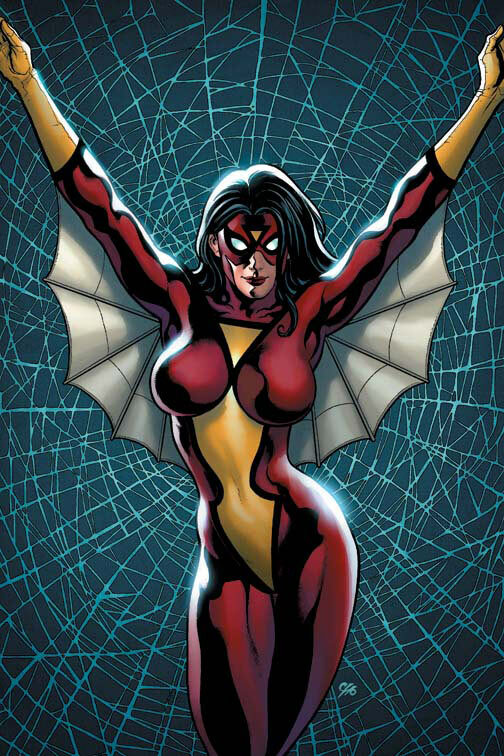 Enter Jessica Drew- around the same age as Peter, but working for the opposite team… or so it seems. 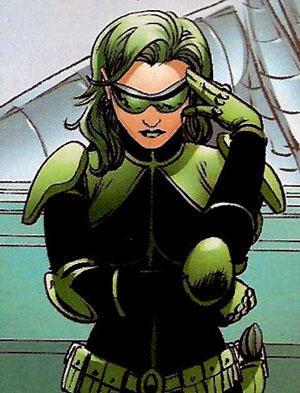 She’s actually a double-agent undercover in Hydra, as well as keeping tabs on Peter to report back to Nick Fury. And thus Spider-Man and the Avengers are joined as one, and we get Spider-Woman as a bonus prize. Keep her origin completely intact. I’m serious. The origin story already established that Hulk’s blood can cause genetic mutations, no reason it shouldn’t have a fairly stable effect on Jennifer Walters, his biological cousin. Being more comfortable in her hulk form, and retaining all her intelligence and personality, she’ll complement Bruce’s paranoid monster well, but their differing approaches will be a source of interesting conflict as well. When the wreckage of a Kree ship (more on that below, wink wink) is found by S.H.I.E.L.D. agents, all Coulson has to say is “It’s out of our jurisdiction”. Enter Abigail Brand, the athletic, emerald-haired, take-no-prisoners commander of S.W.O.R.D., with her steely determination and YES I HAVE A CRUSH ON ABIGAIL BRAND, SHUT UP. Iron Man and War Machine are caught in a firefight, when badass fighter pilot Carol Danvers flies on in to provide backup in the form of covering fire and a diversion. They win the battle, but the Kree ship they’re chasing explodes, giving off a bizarre energy signature… that Danvers gets caught up in. In a post-credits sequence, it is revealed that she’s in a coma- that is until her eyelids flutter open and she realises she’s floating… To be continued in her very own movie because dammit Marvel I want this. Wasp is in this picture, but tiny. Latest news from Edgar Wright, writer and director of the upcoming movie, says that it will consist of two separate stories- Hank Pym in the past, Scott Lang in the present. No reason Janet can’t help Hank out in the past, and Cassie join her dad in the present. That’s just logic. Seriously, Marvel, get on with it. Because Widow’s great and everything, but we need more.